Vian Smith (1919-69) is best remembered for his Portrait of Dartmoor, but before his tragically early death he wrote over twenty books for adults and children, radio and television plays and a vast amount of journalism. Born in Totnes, descended from generations of Dartmoor hill farmers, he spent his life in South Devon and wrote about its landscapes and people with rare authority and passion. ‘He told me a tale which need not be true in the way that textbooks are true, but which is true of the moor and the mystery there; part of the cottage firelight where memory moves and sees what has never been, part of the starlight when shadows move where no shadow can possibly be’. 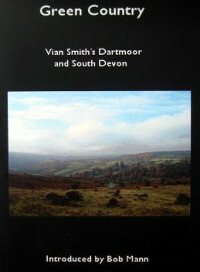 This wide selection from his work, made and introduced by fellow Totnesian Bob Mann, contains many of his Dartmoor writings from the ‘Portrait’ and from newspapers, as well as colourful guides to his home town and the riverside village of Dittisham, where he lived briefly after the Second World War. Enter Vian Smith’s green country, and rediscover the unique vision of a major twentieth century regional writer. Fine style and alert interest in the curious and out-of-the-way … a man of broad sympathies which glint in his work like mica in the dark granite of the land he knew so well.